The reality in the church world is that many pastors are in a different generation than the millennials they are trying to reach. That can sometimes create tension between generations. Here is a quick list of faux pas compiled using current research and conversations with millennials across the U.S. to help you steer clear of the big ones. Top 10 church faux pas that turn off millennials and how to avoid them. Millennials are much more politically independent than previous generations, making them more sensitive to political statements from the pulpit. Whether conservative or liberal, millennials would rather hear pastors speak about spiritual issues. When pastors break into the political side of things, millennials may disengage, often feeling that pastors are using their captive audience to further their own political perspective. 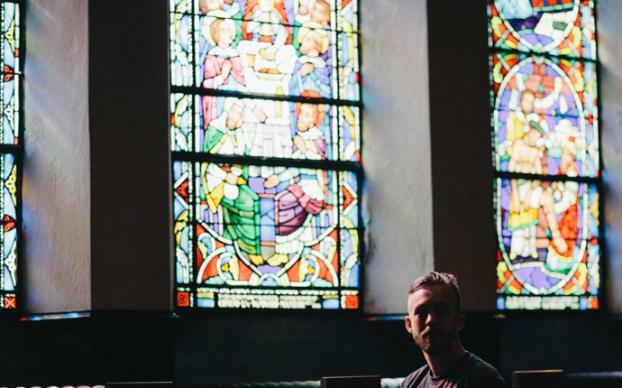 Like other generations, millennials come to church to be spiritually fed. For them, that means real content. They want to walk away from a worship/sermon experience feeling that they were exposed to new information or a new perspective and challenged to be a different person. The flip side of the deep content they crave is their desire for it to relate to their lives and current cultural trends. Don’t get me wrong. They might love learning about first-century eating practices and how those explain a biblical passage. However, if it never makes it beyond the pages of the Bible into their world, the sermon has fallen flat. They appreciate not only understanding the biblical narrative but also how it applies in the current world. Often in pop culture, millennials hear their generation referenced as a negative example — whether overtly or subtly. Millennials are very optimistic about their generation, so it is important to be careful in how you frame discussions about generations. Millennials are not only optimistic about themselves; they also are optimistic about the world in general. They are turned off by people who talk about how wrong, broken or ruined the world is. They see problems in the world as things that can be changed or fixed. Sermons that paint an overly negative view of the world can create the impression that the pastor does not have confidence in their generation to make a positive change in the world. This generation is much more welcoming of all kinds of expressions of sexuality. What bothers them more than the way people choose to live their lives sexually is when the church either directly or indirectly excludes anyone. Millennials have grown up saturated with social media. For them, Snapchat and Facebook are not cool new gadgets but the normal way people communicate and engage with each other. Social media is a central part of their communication and expression of connection with other people. It does not occupy some digital second place to other types of interactions; it is very much the “real” world for them. If they hear social media being discredited, they hear a person who does not understand their culture and does not care to learn to speak in their native language. Millennials are looking for just about the opposite of what we termed “seeker-sensitive” in the ‘80s. They are not offended by religious symbols. They are not completely turned off by liturgy. Rather, they want to feel as if they have come in contact with something divine. However, they are often not liturgical natives and appreciate guidance during worship. Adding simple explanations like “We are about to prepare for communion by using words that have been used by Christians for hundreds of years all over the world” can help them capture the ancient connection as well as understand why you are doing what you are doing. If you like to use paper instead of an iPad and watch old movies on TCM, own it. Don’t try to be someone you’re not. Millennials have a sort of authenticity radar. When someone is misusing current jargon and cramming their sermon with movie clips that don’t exactly work, millennials can tell and they are not impressed. If you aren’t excited about what you are saying, they won’t be either. You don’t have to jump up and down, but being genuinely excited about what you are trying to convey is essential in communicating with millennials. Focus on emotions and study the art of storytelling or you’ll lose their attention quickly. If you don’t come across as truly passionate about what you’re saying, millennials will likely tune out. The reality is that the fact that you are reading this article means you have the most important factor in your corner: you care. A genuine sense of welcome and loving acceptance of the next generation matters more than any of these tips. If you truly care about the millennials walking in your door, these tips will help you express that beyond the initial handshake and bring them into the loving body of Christ. When Jeremy and his wife are not playing with their four children, he oversees youth and college ministries and leads the evening worship service at Christ UMC in Mobile, Al. Jeremy is an author of several books and resources that you can find atJeremyWords.com or follow him on Twitter!